Obama Care (the Affordable Health Care Act) requires health insurance provide birth control benefits. 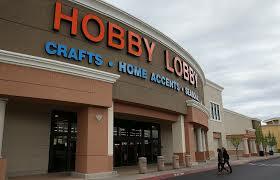 The Hobby Lobby case tells us you don’t have to if you are a closely held corporation (4 or fewer stockholders) and you have bona fide religious objections to birth control. The decision is seen as an end run to, in effect, backdoor reproductive and privacy rights by framing the issue as a question that can be decided under the Religious Freedom Restoration Act of 1993. What has upset an entire universe of people, from women’s rights and gay and lesbian rights to, and including, civil rights advocates is the Supreme Court’s willingness to allow this obvious subterfuge. In deciding the case, the Court agreed to look only at the Religious Freedom Restoration Act of 1993’s procedural processes. The Court went to great pains to say this case has nothing to do with abortion rights and civil rights, and that is why the Court is being attacked. In its written decision, which is being called intellectually dishonest, the U.S. Supreme Court decided that regulations promulgated by the Department of Health and Human Services under the Patient Protection Act violated the “burdensome” test of the Religious Freedom Restoration Act. The (RFRA) prohibits the Government from substantially burdening a person’s exercise of religion even if the burden results from a rule of general applicability unless the Government demonstrates that application of the burden to the person—(1) is in furtherance of a compelling governmental interest; and (2) is the least restrictive means of furthering that compelling governmental interest. Because the Court found that four of the contraceptive coverages “burdened” Hobby Lobby’s right to religious expression, the Court struck the four contraceptives from the insurance of employees of Hobby Lobby. The Court made great efforts to calm the waters by reminding the reader to keep in mind that this case was not a first amendment religious freedom case. Nor, so the Court wrote, is it a privacy or a women’s rights case, an abortion rights case or a civil rights case. The Court was clear that it was only deciding on the issue of burdensome regulations as it affects rights of payers of medical insurance to impose their own religious beliefs. Critics of the decision accuse the Court of trying to change the relationship of government and religion with this decision. Critics say the legal “mechanics” is a slight of hand by the Roberts Court.